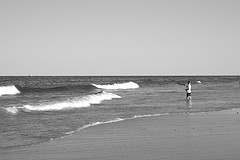 Fishing from shore offers some unique challenges, whether it is fresh water or saltwater. Those who are relegated to fishing from shore can have some exciting times, but may likely be frustrated when it comes to accessing certain points. The choice of bait can be so critical when fishing from shore. Determine what time of day you are fishing. Mornings and evenings, when the surface water and air temperature are cooler, may be the best time for topwater baits and bobber fishing. Hotter times of the day may require bottom lures or fishing with live bait near the bottom of the lake or river. Scope out the area of shore ahead of time. Many river fronts and lakefronts have private property surrounding them. Getting accused of trespassing is a very quick way to ruin a perfect day of fishing. Looking at the weed situation can help determine which types of baits may be most effective in the area you are planning to fish. Consider whether you want to expand your territory by going into the water. If so, investing in a pair of waterproof waders may be a good idea. In some lakes and rivers, this may expand your territory quite a bit and also increase the amount of baits available to you. In some cases, deep-water crankbaits may become an option. Determine whether you will be fishing with lures or live bait and plan ahead accordingly. If using lures, make sure you take a variety of types and colors. Often, finding the lures to entice strikes is a matter of trial and error. Live bait, if you are leaving early enough in the morning, may be available at your local bait shop. Although some open before dawn, others may open a bit later, so be prepared. 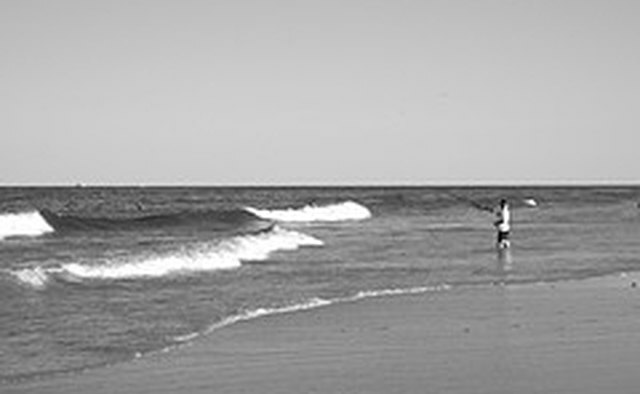 Determine whether you are fishing inshore or in the surf. Depending on surf conditions, tackle and bait considerations may be somewhat different. For example, keeping bait stationary inshore is probably a less difficult task than keeping it stationary in the surf, where there can be large waves and strong currents. 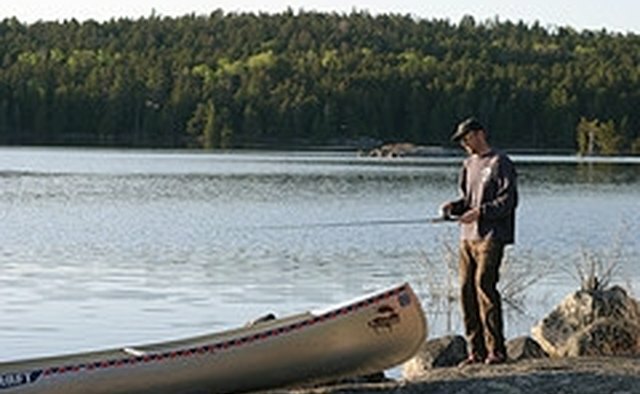 Ask the locals what type of fish are biting and what they are biting on. Bait shops are often the best source for this information. Knowing this can save a lot of frustration and wasted time. If shrimp seem to be getting hits, then it may not be a good idea to try squid. The type of fish will also help determine hook size. For example, most whiting found in the surf have smaller mouths, thus requiring smaller amounts of bait on smaller hooks. If fishing with lures is preferred, this will likely lead to more limited but desired species of fish. However, if using artificial lures, be sure to make sure you are using proper techniques, and do not be afraid to change several times throughout the day if you find you are not getting any hits. The worst thing an angler can do is refuse to be flexible with artificial baits. If wading inshore, a good pair of quality waders made for saltwater environments is a must. In some locations, crabs and stingrays are a hazard and these can offer some level of protection. Waders can also offer you some flexibility in finding new areas, no matter what type of bait you are using. The most popular freshwater live baits are crickets, earthworms and shiners (small fish). The most popular freshwater artificial baits for shore fisherman are soft baits, such as plastic worms and topwater lures. In saltwater, live or frozen shrimp, shad and squid are very popular live or cut baits. Those using lures in saltwater often prefer spoons, topwaters or jigs. Depending on where you are, watch out for snakes. Poisonous varieties are abundant around some rivers and lakes. Watch for deep and sudden drop-offs if wading. In saltwater, waders are very important to protect from sharp rocks, oyster beds and other animal hazards.